Custom made slippers that look like your fur baby! Do you love your animal so much you would like to see their face everywhere? 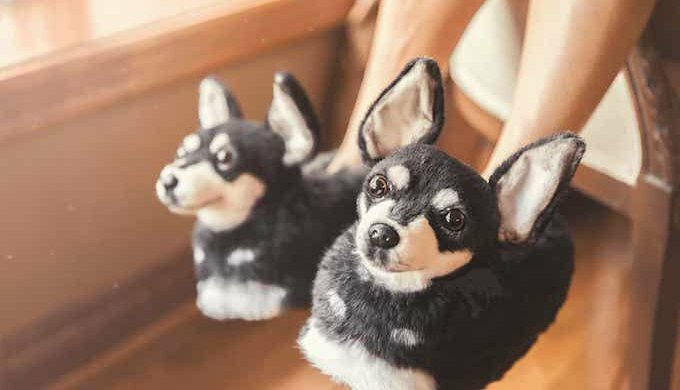 You can now have your own personalized slippers to match your pup's face! Sadly, we can't be with our pet at all times, whether that is because of work, holidays, college etc. Luckily, using your photos, Cuddle Clones handmake plush replicas of your pets as well as many other products! It helps to ease the pain of a lot of people who are missing their fur babies! Check out their personalized slippers! How to get hold of them? The magic happens online. You just have to create a Cuddle Clones account on their website, import a photo of your animal and then the slippers will be made to match your pet! Parts of the product are even handmade (e.g. the length of the fur or the whiskers) in order to look as close to your four-legged friend as possible! You may need to save up a bit, as the slippers aren't exactly on the cheap side. They are of premium quality, and one pair costs US$199 (around £155). But whenever you make an order on their website, a portion of every purchase is given to an individual pet in need, a shelter or an animal welfare organization. If slippers aren't your thing, then don't worry. As said above, Cuddle Clones offer many other personalized products such as soft toys, clothes, mugs, pillows, blankets etc. Go and check it out! What do you think of these cool products? A lost dog found 2 years later ... in the sea! Mochi, the dog with the world’s longest tongue!